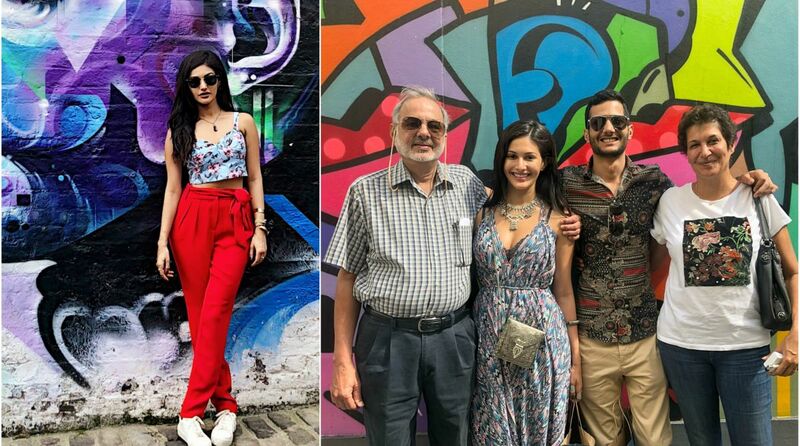 Bollywood actor Amyra Dastur who has been busy with back to back shooting of her upcoming projects found time to go and surprise her brother in London. After wrapping up her shoot for Trip 2 and Prassthanam, Amyra could finally take some time off. She surprised her parents who were already in London visiting her brother who works there. Amyra spent a great time exploring the various attractions of the United Kingdom capital. Amyra shared a list of ‘things to do’ in London for those visiting the city for the first time. Camden Town: If you’re looking for something quirky and unique, Camden is definitely the place to go to. It’s a mix of cultures and amazing shopping markets where you’ll fine arty, modern and vintage apparels. Camden will definitely take a whole day out of your trip. You have to explore the area properly and look out for the amazing street art as you hop from shop to shop. Hyde Park: Walk around Hyde Park for half a day. You’ll see many things from street performers to the London Zoo and the food stalls in the area are absolutely amazing! Oxford Street: For the Shopping and Photo Taking lovers, it is definitely the place to be. You can walk from Marble Arch to Oxford Circus and find any and everything your wardrobe needs. You’ll even see the almost extinct Red PhoneBooths on the street, which definitely calls for a fabulous picture. Soho: If you’re looking for a fun night of Pub Hopping then SoHo is where you want to be! It’s filled with amazing Pubs, Bars and Nightclubs where you’ll meet so many Different people from all around the world, all of the different ages, just having a blast. Guildford : If you’re looking for a little downtime, it is the place to go. It’s a suburban area about a 30-minute train ride from London. It’s got many restaurants and parks that actually picnic perfect. If you still feel the shopaholic side of yourself isn’t satisfied, there’s even a High Street full of your favourites brands and even some quirky stores as well. London Eye: One can’t come back from London without a round of the London Eye. You can go across the bank of the Thames River and grab a bite at any of the food carts while looking at the marvellous structure.